We welcome your comments on our products and services and will also post links to your videos and music recorded on x-reed harps.
" The Sub 30 is extremely airtight and responsive. It plays beautifully and subsequently holds endless musical possibilities for anyone willing to put in the time and effort. Well done! " 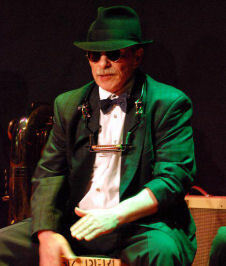 " ... for me the X Reed IS the harmonica I was waiting for, everything bendable, in all directions and all of it STEADY. ... you know I'm an over bender and to be honest I'm ready to let that go, because the X-Reed harmonica IS THE FUTURE, all the notes are bendable, there's a logic in it, it's steady, and the phrases you get are really close to a violin or a saxophone. ... in addition of the non disputable innovations of the X Reed, the craftsmanship is outstanding, the embossing and the set up of this instrument goes beyond anything I've seen. " Received the SUB30 ....excellent job! The improvement in volume/response/clarity is dramatic. Thanks again! " " Brendan; your X reed is the only way forward I have overcome my difficulty with (or my refusal to embrace) the draw Bb on hole 7, as opposed to a blow bend as on hole 10, and 4, as you did for me last year, on two harps, or that easiest of overblows, hole 6. I'm no celebrity, but I'd say most Australian harp players know of me. I intend to push your harp as much as I can (big deal!) not to do you any favour, but because I'd like to see the X Reed stocked in my local music shop, for my convenience! " " Hi Brendan, Many, many thanks for the Sub30 X-reed harp in D.
I just play for my own pleasure - usually alongside a few beers and/or scotches!! I'm no spring chicken either - getting too close to 60, but music is so important to me. And I have to say, the X-reed Sub30 has given me just what I wanted. I wanted to try it for a while, rather than give you an off-the-cuff response, so apologies for the delay But the past month or so has shown me it is a most certainly special harmonica. So when I now play the Lee Oscar it just sounds so flat in comparison. Added to which, the X-Reed is so flexible across the whole range - the lower and higher notes are just as responsive as those in the middle. And I've got used to having to warm it up to avoid the tinny sound the cold instrument first produces. Expensive yes, but having read the reviews of the factory version I was happy to pay that bit more for your tuned version, and I am so glad I did. From a purely personal point of view, I think it is a wonderful instrument - and that, after all is said and done - is what counts. Many thanks - and keep up the good work. " on Saturday I safely received the Xreed SUB30 and I am so pleased to possess now such a fine instrument. I like the design, your perfect work, and most of all the excellent sound of the harp. Thank you very much for the service and this wonderful harp. The Xreed SUB30 is really a dream. Kindest regards and best wishes "
" Just wanted to let you know I received my new XReed Sub30 today. All I can say is WOW it is so nice. Your shipping was super-fast and it has been a total pleasure to order from you. I hope SPAH is treating you well and again I want you to know how impressed I am. I will order your other harmonica as soon as I think your back from your travels. I also wonder what else new you were going to introduce at SPAH as I was unable to attend. ... I am glad I ordered it with the Chromed brass comb and it makes it feel substantial. I learned about it by listening to Christelle Berthon play the X reed, now that I have one I can see how it makes an average player better and a truly great player like you stand head and shoulders above the rest. This harp does everything including walking the dog but you already know this. It's too cool. received it on Friday and played the hell out of it. Sorry for the late reply, play it every day and its feeling better and better. Thank you very much for offering sich a beautiful instrument. The next order is for sure, probably End of this year. Once again thank you very much (also for the CD) and best regards "
Thank you very much for your advice,your work and the prompt delivery of my sub 30. It is definitely the best harp I ever had in hand. A small critic will be the weight but it is like complaining about the weight of a roll- royce. Congratulations & again many thanks. You are the best. kind regards. " I received the three X-Reed harps today... all safe and sound! Thank you so much! Truly amazing design.... beautiful and detailed workmanship! These are certainly a treat to play. I actually feel very privileged.. and proud...to be the owner of these fine instruments. I look forward to many new and exciting adventures, and explorations, with these marvelous creatures! I tip my hat to you Brendan... and to Zombor as well. It has been a pleasure indeed... dealing with you. Hopefully more exciting things in the future!! ... the X-Reed harp doesn't play itself. But it comes very close. I like it so much that I will soon be ordering two more, in the keys of C and D. This is the harp I've been waiting for. " " I just received the A harp today Brendan! What a chunk of metal power! Oh my what a harp! With the light weight "G" with the Manji covers, the medium weight red anodized aluminum "C" and The beefy chromed brass "A". What a combo!!! d'une part, le son pur et cristallin dans les aigus, d'autre part le fait d'avoir accès facilement è toutes les notes et surtout de pouvoir les "tenir" sans aucun problème. Pour le reste les anches répondent vraiment très bien avec un très bon volume. Un instrument que je conseille vivement. " " Guys the harp arrived yesterday, and I'm very pleased with what you've done with it. I wish all 15 of my diatonics could play like this one. This will take some practice to be able to move to another hole and accurately blow the lower bent note first, but I can see how it can be done. I have newfound respect for those of you who play chromatic notes on diatonics so well. I'm real happy, too, with the custom brass comb-the mouthpiece which as nice as the smooth Suzuki Chromatix' that I love to play. I hope that Suzuki has plans to make the Sub30 in other keys. I'd like to do some more like this. Thanks "
Well your masterpiece arrived and I've been delving into its little secrets and possibilities. (Plus great CD !) Quite apart from the 10 new bends you also set it up so nicely that even the regular bends have extra expressive feeling too which is a bonus ! Many thanks Maestro ! " " Hi Bren, just to confirm harp is here and everything ok.
Wow, amazing instrument. Quick response, perfect weight, full of notes and easy to play. Go on with your passion! " My disappointment has changed to delight; it's like a totally different instrument. Many thanks. " Thank you so much for the work you did on my SUB30. It is a HUGE improvement in every possible way and your service is great. You exceeded my expectations! I will order at least one other custom SUB30 harmonica in a different key soon.
" Dear Brendan, Recieved my harp today. As feared when I ordered it, I really don't want to play my others anymore. Truly a work of art as well as a beautiful sounding instrument. The lipped brass comb is the best I have ever had, one I wish I could get for all of my other harmonicas. Your embossing makes the harp the easiest most responsive I have ever tried. Even as an amateur I am able to hit bent notes correctly rather than trying to search for them. Thanks for making my tuning. It plays perfectly. It sounds better than my other harps when I play chords too. Can't say how happy I am with the harp. Will be saving my money for another key.
" My SUB30 harp arrived today. All the faults of the original one have disappeared. It's more airtight and easier to play even if I don't master all the subtleties of this instrument. ... you have really made a great job and the aluminum comb is just a marvel ! Received the Sub30 on Friday, thanks, that's a lot quicker than I expected. Been playing all weekend, excellent, am well pleased. " The X-Reed harmonica rocked up today, and what can i say except "BRILLIANT", beyond sublime, the feel of the harp alone is worth the money, and the pleasure i will get from seeing my harp teacher turn green, lol, so expect another order from down south NSW in Oz soon. The chromed brass comb is magnificent and kudos to BlueX lab for a very fine piece of craftsmanship, the harmonica has been dismantled for inspection and the embossing is first class, yes the unit as a whole is a masterpiece and i have to make some adjustments to my embouchure to facilitate some of the bending and i am looking forward to going head to head with some of my hot harmonica playing young friends, so Brendan congratulations to you and your partner Zambor and i am proud to own one of your masterpieces. I have successfully received the X-reeds harmonica and it is very nice. The tone colour is very unique, the bending effect is very well designed. Many details are very user friendly. I really love your design! Thanks for putting effort in making my X-reeds harmonica. Best Regards "
The X-reed harmonica arrived! Its a very handsome instrument. I must say. And I'm proud to own an instrument with your name on it. I was a little surprised by its tone, which is quite different than my Manji's. Very clean, pure and *loud*. Perhaps the Manji's are bit woodier or more organic. But I imagine the Sub30 would cut through better. The new tone is fine. I just need to get used to it. The most pleasant surprise is just how easy it is to play. I've never tried blow-bending before and had no trouble doing it, right off the bat. Even on the high end. And the draw bends on hole 3 are really, really easy. Much easier than on my D Manji. Which means I can easily play the low B on Irish tunes in D. Not much need for the Paddy Richter tuning it seems with this harp. Has this also been your experience? Thank you for your dedication and ingenuity! I'm really looking forward to taking my harmonica playing to the next level with this instrument. " " HELLO Thank you for the harps. I think its the best harmonicas I ever pleyed . So I decide to order next keys best regards "
" Thank you, my harp arrived Saturday. I am just sitting down with it to explore. It is kind of mind blowing to encounter so many easy bends where there were none before. Thank you for your fine craftsmanship (and for the lovely CD as well!). " " I received with pleasure this morning my custom control X-SUB30 UltaBend Reed (BMH30). It is really beautiful and I am delighted with your Work! Congratulations. " " Ah, now I understand. Now that I worked with the sympathetic reeds the bendability improved hugely! ...after the adjustment it was like putting a knife in to a hot butter, also the draw bends improved by finding that fine line... Now I can see what the real value of this technology is, especially combined with valves. Thanks! " " Brendan, My harp arrived in the mail today. Very happy right now. I was able to get the chromatic scale with a bit of experimentation. I love the fact that it plays and feels like a normal blues harp and the added bends allow for a full chromatic scale. Really nice comb and the Manji covers make it feel very familiar as I play mostly Manji's. Any deals on multiple keys? Thank you very much. " " Hi Brendan, My harp is arrived today, I am thrilled. I think I would like to order soon .... still a laugh. Best wishes with the Bluesharp "
The ChromaBender harps arrived yesterday. I spent about an hour with them last night. Since I had arranged to take a long over-due day off work today I spent three hours working through some exercises and then played with friends on fiddle, whistle and guitar. 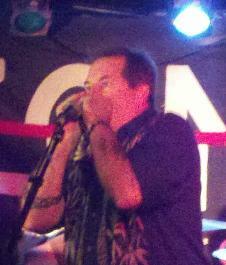 Well I could go on for a while but the short of it is that this D may be the best harmonica I've ever touched. The G will need a little tweaking on the 3 and 4 draw so I've downloaded your videos to try that for myself. But this D is just amazing. I love playing whistles but this harp is going to get equal time. Thanks brother. These are really special.
" I have had the ChromaBender for a couple of days now. I really enjoy trying to work out new phrases. It's like learning to play a harmonica all over again (I'm a Diatonic player only, until now). The different tones and bending notes really makes playing this harp fun, and possibilities are endless. You got a lot more than just a normal chromatic. This is really going to be to good. My feeling is that it's going to be a seller. Can't wait for more keys to come out once you really get going. Thank You. " " It arrived this morning and is FANTASTIC! ... I am mainly a chromatic player - a pale imitation of Toots and Gregoire!! The Chromabender is the most exciting harp I have played for ages. And it is beautifully made and weighted.
" Hi Brendan I received the chromabender today . I love it! As soon as I opened the case I played samba pa ti by Carlos Santana then tried some simple blues and pentatonic scales and all the notes are here. This harp and your other innovations are fantastic additions to a world ruled by purists and technical elitists.Please continue to breathe new life into the harmonica.I hope more people will support the advancement of your x-reed tech and usher in the new age of incredible out of the box harps. " " The ChromaBender is a wonderful instrument. I enjoy playing it. To be a little more specific, after playing the ChromaBender over the last week I can say, historically, it is the first real attempt to address the challenges of chromatic harmonicas. There are no uncontrolled air leaks making bends so much easier and the full spectrum of notes are playable especially at the high end. It's the first harmonica (both diatonic or chromatic) I thoroughly enjoy playing without complaint. " " Letting you know the ChromaBender has just arrived. First impression is how little air is required to sound all the notes. The reed tolerances are very tight indeed, as mentioned on your web site. Thanks for another wonderful creation to join my arsenal of three SUB30 Ultrabends and one PowerBender! " J'ai bien reçu votre nouvelle merveille "ChromaBender" ce matin et je suis enchanté vraiment par la qualité de vos réalisations;je vous remercie encore une fois du fond du coeur.
" I truly appreciate the fine workmanship and inventiveness of one of my all time favourite harps. The tone, feel and responsiveness are very pleasing to me. I'm wishing to be playing more of your harps as we both grow in our art together. " " Hi you guys Col Pridham from Australia just want to say it was worth the wait and the harp is FANTASTIC . I just wanted to tell you both you are amazing thanks again. " I really like the xreed xtrabend diatonic. Please beautifully, all the notes easily accessible. Beautiful tone. " The ExtraBend harp arrived safely this morning, and I'm delighted with it. It does everything you said it would. I've never been an over bender other than perhaps a very squeaky 6 overblow, but the 7 draw bend on the ExtraBend is so easy to hit, and sounds ' more musical ' if you get my meaning. One interesting thing. I've done a little gapping especially 1 2 and 3 and I've set them slightly closer than I usually do, and the performance is excellent. Is this a function of the X reeds? Whatever the case it's awesome. It's gonna open up a lot of things for me. All I've now got to do is save up for an A, and then a Paddy Richter. BTW either I'm already getting the feeling for it, or it's ' loosening up a little ' but it seems even easier to control the bends today compared to yesterday. For the first time I think with sufficient practice and familiarisation this could truly be the Swiss Army Knife of 10 hole diatonic harps ie the best single harp to carry with you everywhere. PS. I'm still gonna need a Paddy Richter tuned version at some point, I love your Celtic Music for diatonic harps, and a PR harp is the only way to go for those.
" It is a brilliant step forward again Brendan. Although the SUB30 I received a few months enabled these new notes and possibilities I don't play it that often because the sound and playability doesn't compete with a Crossover or Marine Band. Given the choice, I will go with tradition and less notes rather than the new possibilities but compromised sound and playability. With the MB30 you have 'inserted' new possibilities with very, very little compromise to what makes the original amazing. Comparing with a Marine Band, there is a minor difference in sound, but some people may even prefer it. You also notice a difference in feel of the reeds in the low end because of the valves. Despite the zero reed off set I can use my normal playing style and tongue blocking with no glitches. Now I would chose an MB30 over a Crossover or Marine Band. A great achievement. Once again, I hope X-Reed is a huge success for you and Zombor! You are redefining the harmonica... "
I was happy to buy your first Suzuki Xreed, however, I think this genius system should have been more deserved with a better harp. The MB30 is really awesome, thank you so much. I gave it a try last night. It was great to be able to do really simple things like play e flat when playing in C. So now I can repeat a riff that has the tonic and flattened 3rd easily in G,C and D. And then if I change key to 1st position I can do the same in F ! The ability to play the blues scale in a number of keys has great possibilities. " I'm so honored to help support the amazing work you do. Thanks for giving me the opportunity to keep learning, progressing and trying new things.